Discovering this little charmer during an early morning walk in our neighborhood, I was able to sketch him before he disappeared. Innocently thinking his beautifully spotted hide kept him well hidden, he was the perfect model for me as instinct kept him motionless while his mother browsed and I sketched. 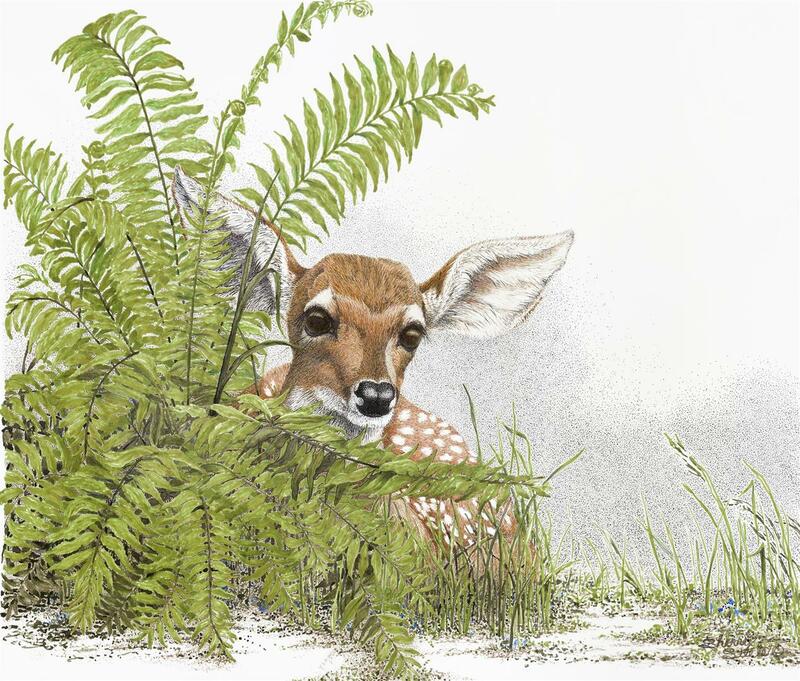 Peeking through the fern, he was betrayed by his big ears and luminous eyes. Finally, panic overcame instinct when a monster garbage truck roared past and he scampered off on delicate legs.